No matter how many flowers or other unique décor material you add to amp your venue setting, hands down the right type of lighting steals the show! We know you can’t agree more with us. From light bulbs to fairy lights, tea lights to mason jar candles, the modern ways in which lighting is incorporated in weddings is simply breathtaking. With decorators upping their game to satisfy the ‘wow’ quotient that soon-to-wed couples seek these days, experimenting with just flowers and objects is not enough. That’s when the wedding scenes noticed an astonishing change in the use of lighting for weddings. Take a look and get inspired to transport your guests and relatives into a magical ambiance on your D-Day. Clustered or decorated in single strings, these unique ways of using clear bulbs have paved their way into wedding décor and they look amazingly spectacular! Whether you have a rustic outdoor celebration or a grand indoor festivity, incorporating these is not a hassle at all. Candles placed in small aluminum or stylish plastic glasses, these cute little tea lights are required to be placed in a bunch to add more light effect to the décor. Whether you place them on a table or hang them by a chandelier or tree, they blend in so well to create an enchanted ambiance. In literal sense, these tea lights are big surprises in small packages. String lights, popularly known as fairy lights are a perfect addition to fairytale themed weddings. Mehndi, sangeet, wedding reception or even a cocktail party look amazingly whimsical with these fairy lights on. Outdoor or indoor, throw in a couple of strings or create a whole false ceiling, they’re surely going to make some jaws drop! Candles are the most subtle of all lighting décor one could incorporate in their wedding. Maybe not a great idea for a reception, but these could be superbly integrated in your aisle or mandap décor. Also, not a bad idea for mehndi, bridal shower sit-down dinner or bachelorette party, eh? Another interesting way using candles or tea lights are placing them into a mason jar. Lately, mason jars have become quite a hit and in demand décor items. Creating a rustic and old world charm to wedding decoration, these mason jar candles are totally light on the pocket. Win-win! A scintillating addition to Royal and Arabian Nights themed wedding festivities, Moroccan lanterns are simply breathtaking. It doesn’t matter if you use a bronze, metal, gold, silver or even plain white Moroccan lanterns, what will steal the show is the intricate patterns on them that create a magical silhouette when lit. Place them in an aisle, on tables, staircases, hang them by the ceiling or simply place them on the floor, their sure to stand out and cast a spell on you and your guests. A beautiful addition to weddings are not the elaborate kind of chandeliers that you find in 5 Star banquets halls, rather the small and chic versions of them that create the best kind of splendid and royal feeling to your celebration. Hanging even one of these to any corner of the venue can create jaw-dropping magic! Indian weddings are full of colour and if you’re looking for an option to add a dash of colour and drastically change the look of your venue, uplighting is the way to go. These colourful patterned lighting can instantly change the look of a yawn-worthy venue and give it an added oomph. 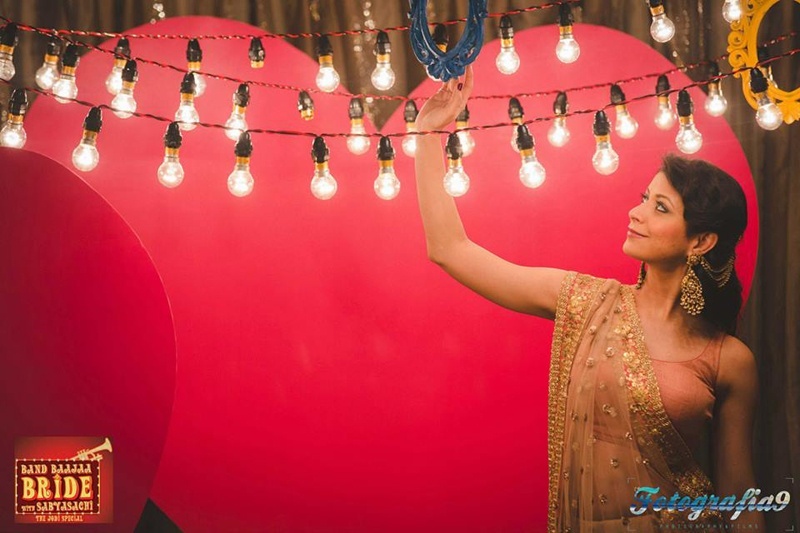 Whether it is a retro, royal, fairytale or any kind of themed or no-theme wedding festivity you intend to keep, these lighting are a blessing in disguise. Flash them onto the ceiling, walls or use it to highlight your dance floor, they’re sure to ‘wow’ your guests. Check out more such fab ideas in our wedding décor column. Should you need an ace decorator to replicate these styles and amp your venue, find them right here in your city.